An exclusive accessory for the new large 12″ Cole Jaws, add these to extend your Cole Jaws to 15″/381mm diameter! • Easy to attach to your NOVA 12″ Cole Jaws. • Same jaw fixing system across all Standard NOVA Chuck models (except Quick Change), giving you maximum system interchangeability and flexibility. 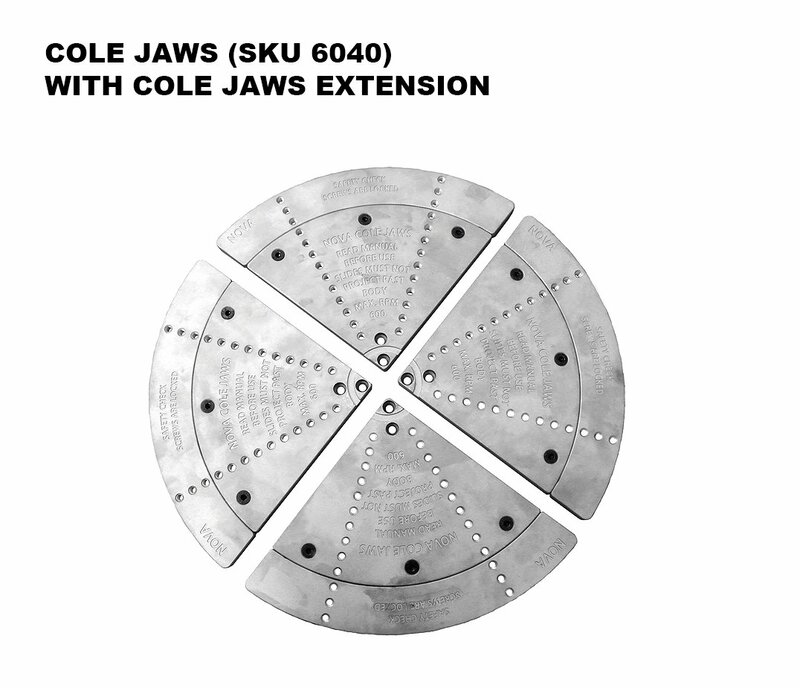 • Designed specifically for the 12″ Cole Jaw Set 6040. • It is easy to add to your 12″ Cole Jaws and takes your 12″/304mm diameter Cole Jaw up to 15″/381mm diameters. 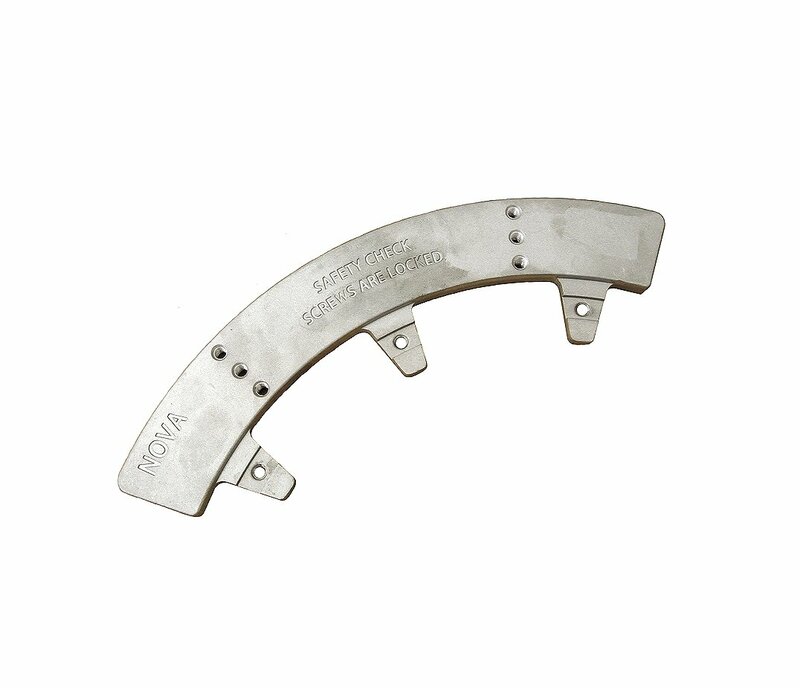 • Suitable for lathes with minimum of 16″/406mm diameter capacity. * Note the other NOVA Cole Jaws in the range, the Standard 10″ JSCOLE and Mini 8″ 6006 Cole Jaws cannot accept the extension feature/accessory. Includes 4 x Jaw Extender Segments, fastenings and instructions. Note: Requires NOVA Large/12″ Accessory Cole Jaws to attach to, additional purchase.